The UNL Feedyard Management Internship is designed for students interested in pursuing a career in beef feedyard management or other related agribusiness areas. The purpose of the internship is to train undergraduate students in the area of feedyard management to fill the growing need for trained, responsible individuals who can enter into management positions in feedyards. The UNL Feedyard Management Internship is a nationally renowned feedyard management training program, exclusive to UNL, which has been producing feedyard management and industry leaders since 1989. The internship trains students through comprehensive feedyard management classes and with real world experiences in high caliber feedyards. Consider the UNL Feedyard Management internship to gain a better understanding of the beef industry and start a feedyard management career today! There is a growing need for well-trained, competent young people to take leadership positions in the beef industry. This need has become so great that the National Cattlemen Beef Association has made personnel training a priority for the future of the beef industry. This is especially true in the feedyard industry. According to the 2015 Nebraska Feedyard Labor Cost Benchmarks and Historical Trends, there has been a 6% increase in wages across all positions since the 2010 survey. of compensation mirrors the demand for feedyard managers, with the average Nebraska feedyard manager compensation over $71,000 per year, according to the survey. Agriculture is the largest industry in Nebraska. The beef cattle industry is the largest part of Nebraska agriculture and the feedyard industry is the largest generator of dollars in the cattle industry. This industry is rapidly increasing in size of units and complexity of management. In Nebraska, as of 2018, there are currently about 2.6 million head of cattle "on feed" at any time in yards with capacities of 1,000 head or more, about five million head fed annually. Feedyards require about one employee per 1,000 head and one person in a management position for every 5,000 to 10,000 head. This equates to over 2,600 feedyard employees, creating over 450+ management positions in Nebraska alone. Feedyards are usually organized with a feedyard manager, an assistant manager, a feedmill manager, a yard foreman, and a foreman of the animal health crew. With smaller feedyards, the manager takes on more of these responsibilities and in the very largest feedyards, there may be assistants to these managers as well. Graduates of the feedyard internship should not expect to enter the industry directly as feedyard managers, but in one of the other managerial or assistant managerial positions with the opportunity to progress according to their training and abilities. In addition to positions in feedyards, graduates of the internship may accept positions with companies which deal directly with feedyards. These may include pharmaceutical companies, feed companies, beef processing facilities, financial institutions, commodity traders, and equipment companies. Students may take positions in other states as well since no other university offers a similar training program. Therefore there is a great deal of opportunity for young people interested in feedyard management and gaining exposure to that sector of beef production! The internship is designed to begin following the spring semester when students graduate with their undergraduate degree, and end just before Christmas so students are able to take a job beginning in January. It is designed for students to enter upon or near the completion of their undergraduate degree in Animal Science, Agribusiness, or a related major. Ideally, students should have had classes in livestock management, feed formulation, accounting, agricultural marketing, and agricultural finance. Students will submit an application prior to the end of fall semester and go through a screening process. The internship is broken into three segments with the sessions being discussions rather than lectures and students are able to interact with experts in the area they are discussing. The pre-internship session occurs on the UNL campus beginning near the end of May to provide basic knowledge pertaining to the feedyard industry. Students interact with specialists in feedyard management and nutrition, animal health, economics, and personnel management. The second portion of the internship occurs when students go to their host feedyards to experience firsthand how professionals utilize the principles students learned in the pre-session. During the third portion, students return to UNL for two weeks to discuss their experiences with each other and the experts they were exposed to during the pre-session. 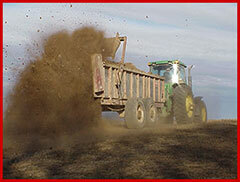 Early July-Begin work in selected feedyard, experiencing each feedyard division, which may include animal health, nutrition, office, feed mill operations, and waste management. Students are trained in each sector of the feedyard and allowed the opportunity to work from the ground up, learning the foundation of the feedyard. Students may also have the opportunity to interact with a feedyard's consulting nutritionist, consulting veterinarian, cattle buyers, and the feedyard management as well. Late November and early December-Recap feedyard experience with classmates for two weeks at UNL. At the conclusion of the Internship, some students have received job offers from their respective feedyard or may receive assistance in securing feedyard management employment. Job offers are strictly between the feedyard and intern. Past classes have toured such facilities as ethanol plants, Cargill Corn Milling at Blair, Nebraska, various feedyards, and participated in the Nebraska Cattlemen's annual meeting. Students become Beef Quality Assurance certified and learn safe animal handling practices from industry leading experts as well. The course is taught by Dr. Galen Erickson , UNL Feedyard Extension specialist, Dr. Terry Klopfenstein, UNL Ruminant Nutrition professor, and Dr. James MacDonald, UNL Ruminant Nutrition assistant professor. All are world renowned in their fields, and have gained national recognition for their feedyard research and the UNL Feedyard Management Internship. 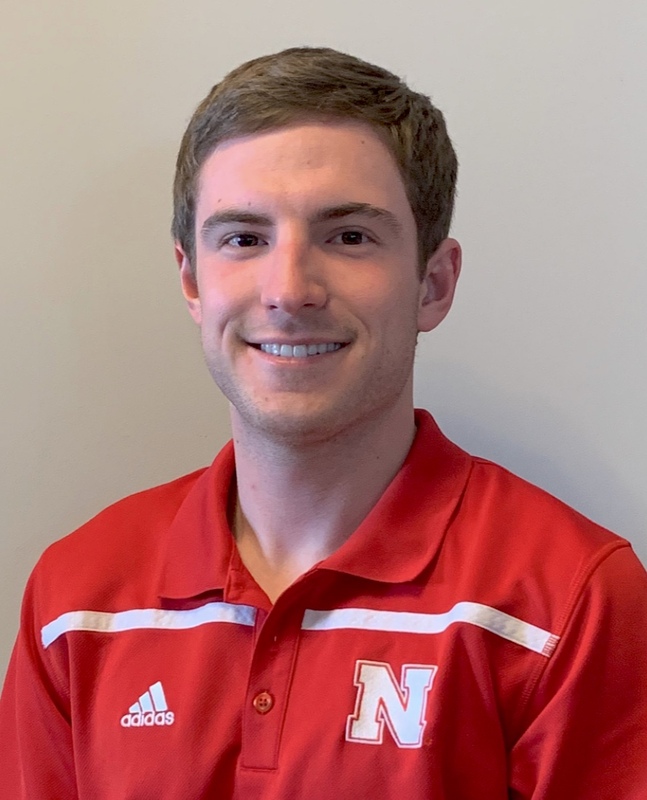 During students' six weeks of class at the University of Nebraska-Lincoln campus, they have the opportunity to work at the UNL Beef Research feedyard, and receive financial compensation for their work. This not only exposes them to a feedyard before arriving at their official internship feedyard, but also helps provide for their expenses during their time at UNL. While students complete their five month internship at the feedyard, they are paid accordingly, and thus should treat the internship as a job. Because the internship program is an official UNL course, students can receive credits towards their Animal Science, Agribusiness, or related undergraduate degree, at no cost. UNL students are eligible for up to eight credits; non-residents are eligible for up to two credits. 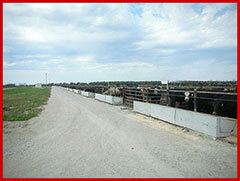 The course is free of cost to the student, it is uniquely funded and sponsored by the Nebraska Cattlemen. The Feedyard Management Internship has a strong history of training young people who have gone on to be successful in their respective careers. The internship was begun in 1988 by Dr. Terry Klopfenstein. Since that time, more than 150 individuals have received training through the internship. Below are a few examples of the benefit of the Feedyard Management Internship on past participants. A major advantage in participating in this internship is the caliber of feedyards to which students are exposed. Students who enter the internship will be sent to top quality, progressive feedyards who believe in the program. Students have participated in internships in various states including Kansas, Texas, South Dakota, and others, but most students are placed in Nebraska feedyards. Many individuals who participated in the internship and now manage feedyards are hosts to interns. Because these feedyards believe in the program, students are exposed to all areas of the feeding business and are able to spend time with experts in the feedyard. The feedyard benefits from the program as well because they are hosting enthusiastic young people who are interested in the feeding industry. If the feedyard and intern have a good working relationship at the end of the internship, a job offer is often extended to the intern (this is not guaranteed by the internship and is strictly between the feedyard and intern). 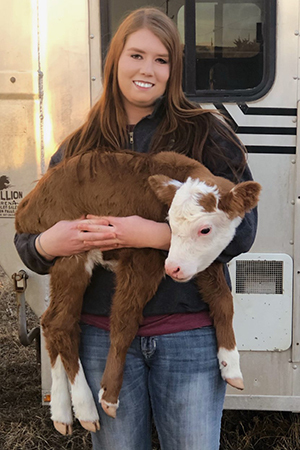 UNL Feedyard Management Internship featured on I Am Angus special of, "Women in Agriculture"
There is no direct cost to the student to participate in the internship, with tuition paid by the Nebraska Cattlemen. Students receive financial compensation for their time spent working in the feedyard, and thus students should treat the internship as a job and realize they have a commitment to the feedyard to earn their wage. Salary during the internship is agreed upon by the intern and feedyard; the class coordinators have no part in determining salary. Students should be prepared to provide finances for their cost of living during the pre-session and post-session at the UNL Animal Science department. Students will find they will need to have finances saved for the first pre-session, but should be able to save money while working in the feedyard to pay for their living expenses during the post-session. Students are responsible for finding housing during their internship. There is limited housing at the UNL Animal Science building that students can rent during the pre-session and post-session if necessary. Students should contact course coordinators for more information on housing in the Animal Science building and should realize it is not a guaranteed part of the internship. Intern's host feedyards will be a valuable resource in securing housing during the internship as well. To apply for the UNL Feedyard Management internship, please complete the following the form, Application for UNL Feedyard Management Internship. There are $1,000 scholarships per year available to students pursuing a Feedyard Management career. Applicants must be University of Nebraska-Lincoln Animal Science, Diversified Ag, or Agri-Business majors or committed to become majors by the following fall. Deadline for application is April 1, to Animal Science room C203. Please note, these scholarships are separate from the Feedyard Management Internship program. These scholarships are to be applied toward tuition and fees to students interested in feedyard management. Applicants do not have to complete the UNL Feedyard Internship program, this is simply a scholarship for UNL students with an interest in feedyard management. Check our Facebook page, for updates as well!